Gerd Gigerenzer is a psychologist specialising in problem-solving and decision-making. He is Director at the Max Planck Institute for Human Development and Director of the Harding Center for Risk Literacy, based in Berlin. An acclaimed academic, he is former Professor of Psychology at the University of Chicago and John M. Olin Distinguished Visiting Professor, School of Law at the University of Virginia. He is also Batten Fellow at the Darden Business School, University of Virginia, and Fellow of the Berlin-Brandenburg Academy of Sciences and the German Academy of Sciences. Awards for his work include the AAAS Prize for the best article in the behavioural sciences, and the Association of American Publishers Prize for the best book in the social and behavioral sciences. His award-winning popular books “Calculated Risks: How To Know When Numbers Deceive You” (2002), “Gut Feelings: The Intelligence of the Unconscious” (2008), and most recently “Risk Savvy: How To Make Good Decisions” (2015) were translated into 18 languages. 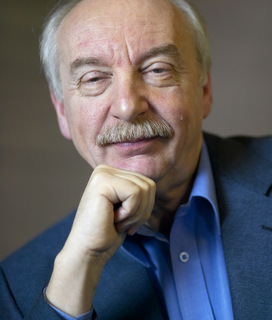 His academic books include “Rationality for Mortals” (2010), “Simple Heuristics That Make Us Smart and Bounded Rationality: The Adaptive Toolbox” (1999, with Reinhard Selten, a Nobel Laureate in economics). In “Better Doctors, Better Doctors, Better Decisions” (2013, with Sir Muir Gray), he shows how better informed doctors and patients can improve healthcare while reducing the costs. Together with the Bank of England, he is working on the project “Simple heuristics for a safer world.” Gerd has trained US federal judges, German physicians, and top managers in decision making and understanding risks and uncertainties. Book Gerd Gigerenzer as a keynote speaker, send us an email. "Gerd Gigerenzer has become one of the foremost names in the understanding of decision-making and risk management. He argues that when it comes to taking risks in life, we are often much better off following our instincts than expert advice. He draws valuable lessons, and offers clear explanations on how to become risk-savvy."